February 2018 | Daily Hornet | Breaking News That Stings! Two dog food companies announced recalls for dog treats after testing discovered Salmonella or Listeria. Instant Pot has recalled the "Gem 65 8-in-1 Multicooker" pressure cooker after reports of overheating and melting. Yamaha Golf-Car Company, of Kennesaw, Georgia, is recalling about 161,000 golf cars and Personal Transportation Vehicles (PTVs) because the brake cables can fail, posing a crash hazard to riders. German automaker BMW has announced plans to recall nearly 12,000 vehicles that were found to contain the wrong engine management software, according to Reuters. At least 12 people were sickened with Salmonella after eating Mexican food from two Burrito Delight restaurants located just outside Denver, Colorado. 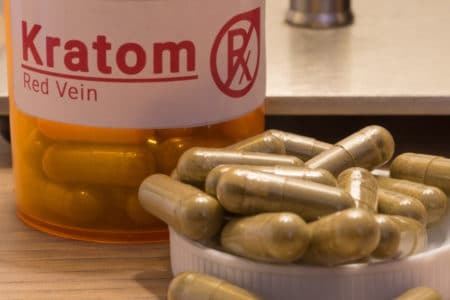 The U.S. Food and Drug Administration (FDA) announced on Wednesday that it had recalled and destroyed a massive lot of kratom-containing dietary supplements produced by a company based in Grain Valley, Missouri.